More small energy suppliers are likely to go bust this winter, analysts say, leading to potential disruption and higher costs for customers. Economy Energy was the latest to collapse earlier this month, following customer complaints about service including delayed bills and refunds. It followed a string of similar collapses and analysts say five or 10 more could go as winter costs rise. If so, domestic customers’ supply is protected but their tariff is not. When an energy company ceases trading its customers are automatically transferred to a new supplier. Any credit they have, because they have used less energy than they paid, is carried over. 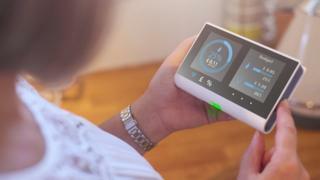 Regulator Ofgem has announced that Ovo Energy will take on Economy Energy’s 235,000 customers. However, in cases of this kind, customers are given a new tariff with the new supplier that may be more expensive than their current deal. Householders are being urged to consider customer service scores as well as price when switching to a new supplier. What has gone wrong for small suppliers? In the past year, a number of small energy suppliers have gone bust, including Spark Energy, Extra Energy, Future Energy, National Gas and Power, Iresa Energy, Gen4U, One Select, Usio Energy and most recently Economy Energy. Many have struggled with dealing with customers’ queries and complaints, leading to scrutiny from the Ofgem. According to Ellen Fraser, energy analyst at Baringa Partners, some simply ran out of cash. She said that rising wholesale prices and higher winter costs could see up to 10 more suppliers collapse. At its peak there were more than 70 businesses vying for domestic customers. That has fallen to 60. A few years ago, there were only a dozen or so, and some suppliers have come unstuck by offering deals that take them to the top of the “best buy” lists on price comparison websites. Ms Fraser said energy was a complex market, serving complex customers on different tariffs. Some businesses had tried to grow quickly, taking on thousands of customers, but had struggled with the logistics involved. Julie Palmer, of corporate recovery specialists Begbies Traynor, said there had been a clear rise in utility companies in “significant financial distress”. “We may well expect more competitors going to the wall in 2019,” she said. Even energy minister Claire Perry was reported to have said much the same at a recent conference. Earlier this week, Mary Starks, from Ofgem, told the BBC that there was “room for improvement” in the licensing regime so businesses were properly vetted before they started competing for customers. How does the new price cap affect things? Typically, the cap – introduced on 1 January – means that typical usage by a dual fuel customer paying by direct debit will cost no more than £1,137 a year. However, this only applies to default tariffs (also called standard variable tariffs), so is designed to protect those who have remained on the same deal for years, rather than those who have shopped around. Research by auto-switching service Look After My Bills suggests that there are 66 tariffs that are more expensive than the cap. They are mostly fixed deals, so are not subject to the cap. “The price cap was a welcome step to protecting consumers on extortionate standard tariffs,” said head of research Lily Green. “Fixed deals are often seen as the sure fire way to get a good price. But locking people into a fixed deal hundreds of pounds pricier than the cap, with a hefty exit fee is a pretty shameless move by suppliers. That complexity will continue if, as expected, Ofgem raises the cap on default tariffs in England, Scotland and Wales in April. Northern Ireland has its own regulator and price cap. Andrew Long, founder of another automatic switching site – Switchcraft – said that the cap had already led to a clustering of prices. The difference between the cheapest and most expensive tariffs had fallen from about £300 a year to less than £200, he said. Some say this is an argument against the price cap, as it could reduce price competition, to the detriment of active customers. Automatic switching sites are likely to become more popular, but they are also expected to attract greater attention from the regulator. These services move customers automatically onto the best option when their fixed deal expires, but this is judged on price rather than customer service. At a time when suppliers are going bust, householders are being urged to consider customer service scores when choosing their gas and electricity provider. Organisations such as Citizens Advice rank suppliers on criteria such as switching and billing.